Remember way back in the day, back when you and your friends might pack into a car and head off…destination unknown. If you called shotgun, one of your responsibilities was taking care of the music. A prerequisite was a travelin’ music mixed tape which consisted of tunes that would sound good at any time, but really seemed to find their comfort zone as you breezed down a highway. Anything Allman Brothers would have filled the need. 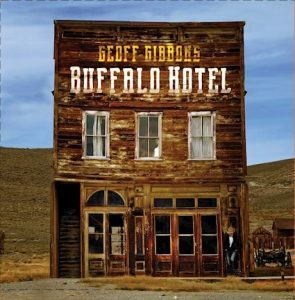 If Buffalo Hotel, the new release from singer-songwriter Geoff Gibbons, was around back in the day, several of its songs would have made it onto that travelin’ music mixtape. Geoff Gibbons is a full-time musician/producer/engineer out of Vancouver, who along with releasing music for himself, has had a successful run creating music for television and movies. On his own musical road trip, Gibbons ventured to the school grounds of Americana music: Muscle Shoals, Memphis and Nashville. The teachings he learned from that trip resulted in the music of Buffalo Hotel. The twelve song album opens with “Ain’t Goin’ Back,” a lush and lazy ride of a tune that glides along as the goodbye lyrics make you instinctively pull up your collar as you walk out the door. It’s Harry Nilsson meets Glenn Frey, where the words speak loudly as the pedal steel provides the movement. “Lonesome Angel” brings in a background banjo to complement the beautifully written tale of a travelling singer who never quite belongs. Melancholy without sadness, it fills the space around you like an aura. “Carolina Bound” breathes a little country road twang. A road-tired song, it’s always interesting to see how musicians tackle the subject of being alone and far from home. “Hard Hard Rain” is a natural progression from “Carolina Bound,” where the loneliness turns to hardness. Feelings are detached and all you can do is prepare for what comes next. It’s paced like a moving train where the melody moves along with the lyrics. There’s some very fine imagery at work in “Me And Buffalo Bill.” Tears hidden in the rain and Buffalo Bill as a sidekick in the destruction of memories, “Hand me down my rifle cause we got some ghosts to kill.” A troubadour’s tune written so simply that it’s easy to overlook how difficult that can be to achieve. The trip to Memphis shows its influence on “Back To You.” The road story continues with a more soulful touch. You can feel the Al Green vibe and the Memphis smoothness, and it feels real fine. Reading the song title “Ever Get To Georgia” one might expect the tune would be an homage to the state, but Gibbons creatively writes about a woman named Georgia. It’s a story of lost love, not quite knowing why and still hoping for a future. Silky smooth, dripping images like honey, it’s another Memphis soul driven song. Getting back on the road, “Blinded By Tumbleweeds” is a track that would easily have made it onto that mixtape. Pure country-rock with the perfect tempo and the hooks to keep your feet movin’. “Picture Of Adeline” creates an ominous feel musically. Featuring a slower pace with an eerie guitar and accordion in the background, the photograph representing the ghost of lost love is an allegory which blends nicely with the melody. The album ends with “Where Midnight Rolls,” a full dose of Hammond that segues into a nice little rocker. It’s about finding the sweet spot…the world after the lights go down. It’s the place where redemption is found and the song sure feels like a victory lap. 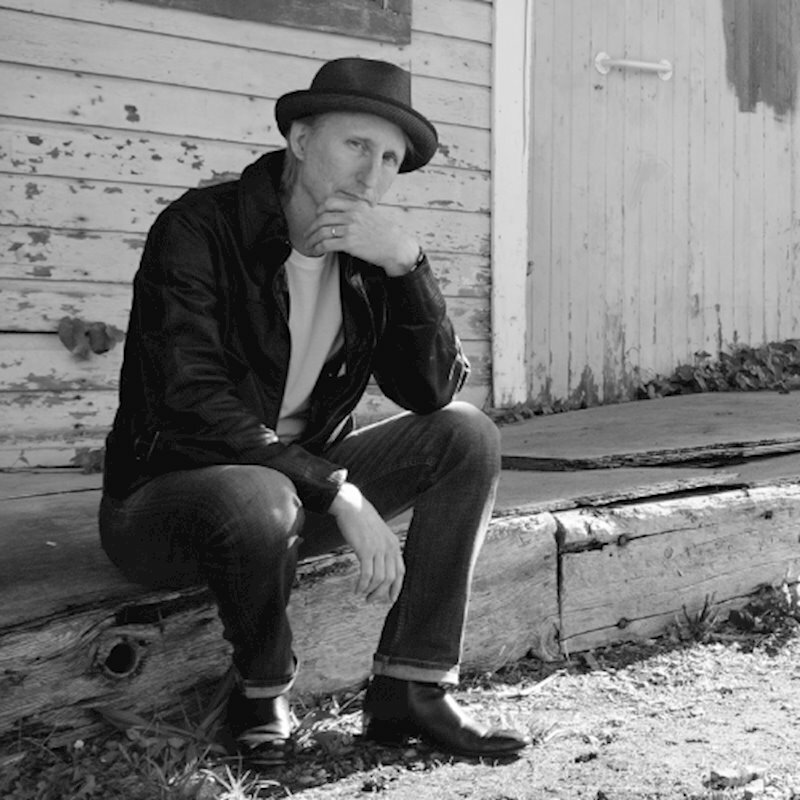 Geoff Gibbons has ridden his share of miles and the songs he writes are both observations and finishing touches of characters he’s encountered. Being on the road over the years with artists like Emmylou Harris, Levon Helm, Rick Danko, and David Crosby have left an imprint and no doubt helped make him a better songwriter. And his songs are good. There’s a difference between writing a tune and crafting a song, and Gibbons has crafted a wonderful album in Buffalo Hotel. Gibbons co-produced the album with John McArthur Ellis and their partnership has created a lush and perfectly balanced record. Gibbons more than holds his own as a singer. His vocals range somewhere between Frey, Gerry Rafferty, Johnny Rivers and J.D. Souther. The vocals are easy on the ear and enjoyable throughout. On the album, backgrounds are provided by The Sojourners, who deliver impeccable harmonies and the tone to round out the edges. Though described as a singer-songwriter, there is much more to Geoff Gibbons. Buffalo Hotel is the testament to that.